Calling the technology a method of gun control, a Senate panel voted Wednesday to preclude any mandate that Arizonans have to purchase "smart'' guns. Gov. Doug Ducey said the Republican plan to replace the Affordable Care Act is flawed and should not be enacted as proposed. The chairman of the House Appropriations Committee said Tuesday he and his Senate counterpart agree on an opening bid in budget talks with Gov. Doug Ducey's staff. The Arizona Supreme Court is scheduled to rule Wednesday on the automatic appeal of an inmate facing Arizona death sentences for two killings as well as life terms for two Idaho killings. The Arizona Corporation Commission voted today to stop paying an attorney to defend one of its members in a lawsuit from the state’s largest utility. Arizona Gov. Doug Ducey has allowed so many vacancies on the board overseeing the nearly $35 billion retirement pension fund covering the majority of state, city and county workers that it has been unable to do any substantive work since November. 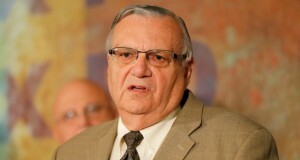 Former Maricopa County Sheriff Joe Arpaio plans to resume his bid to get a federal judge disqualified from a racial profiling case even though the lawman has been out of office for more than two months. As the only active rancher in the state Legislature, Republican Rep. David Cook of Globe is trying to keep Arizona’s ranching legacy alive. The state's largest electric utility may have outmaneuvered a utility regulator in the fight over its records about its campaign spending.